Deadpool co-creator Rob Liefeld is saying goodbye to his most famous character. The outspoken writer and artist announced via his Instagram account that the upcoming Deadpool: Badder Blood will mark his swan song with the Merc with the Mouth. You can check out a few panels from the new series, along with Liefeld’s comments, below. Badder Blood is a sequel to 2017’s Deadpool: Bad Blood, which Liefeld worked on with co-writers Chris Sims and Chad Bowers. That graphic novel pit Wade Wilson against a new enemy, Thumper, and co-starred Domino and Cable. As Liefeld promised, Deadpool will also appear in his Major X miniseries, which introduces a new mutant character to Marvel’s X-Men universe. Liefeld conceived the idea for Deadpool with writer Fabian Nicieza. The character debuted in The New Mutants #98 in 1991. Over the last three years, Deadpool has become a household name thanks to the success of two 20th Century Fox films starring Ryan Reynolds. 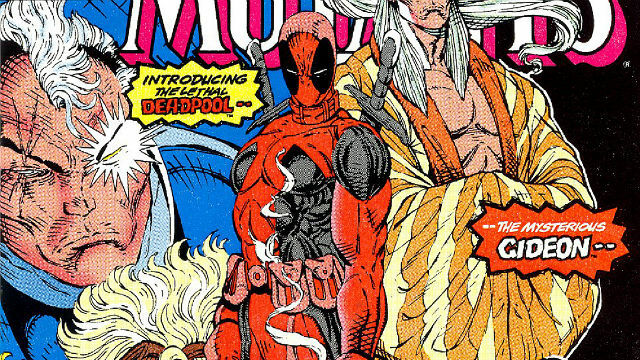 It’s not clear why Liefeld picked this time to move on from Deadpool. But as we get closer to the new graphic novel’s release, he’ll probably share more insight into his decision. Deadpool: Badder Blood is still without an official publication date. Are you excited for Rob Liefeld’s final Deadpool tale to hit store shelves? Tell us what you think in the comment section below!